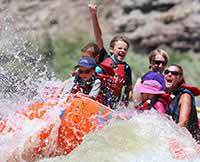 I just returned with my 7 and 10 year old from a simply incredible experience on a Desolation Canyon rafting trip. 5 days with no mobile devices, no work emails or conference calls. 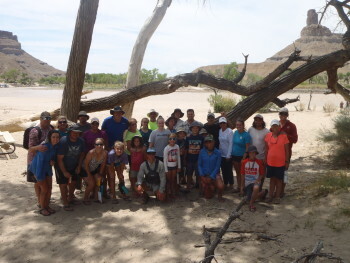 A rare opportunity to escape and live in the moment...Just 5 days immersed in the most breathtaking natural beauty, rising with the sun, shooting the rapids, hiking to petroglyphs, setting up camp, eating on the beach, sleeping under the stars. The guides were absolutely amazing, our group was full of brilliant people, the kids all bonded and played together great......everyone just had the best time. It was a rare opportunity in life to escape and just live in the moment and enjoy undistracted time together as a family. Thanks to Western River Expeditions and our fantastic, talented and hard working guides (Tori, Brian, Abi, Derek and Stuart) for making it happen. An unforgettable experience....we created memories my kids and I will treasure forever!